Review: Netflix is at it again. The popular streaming site has enough original content to compete with major television stations, which it’s pretty much doing at this point. Who needs cable? As if crime dramas like Narcos and Ozark aren’t enough for fans of the genre, now Netflix is introducing another epic action series to its catalog. Entitled Sacred Games, the new series is based in Mumbai, India. Nawazuddin Siddiqui plays a crime lord that is being hunted by the police, and the trailer for the show looks absolutely stunning. Action, murder, and mayhem look to be the main focus, and the crowded yet picturesque Indian streets set a backdrop for crime drama that looks unique to the genre. Siddiqui is one of Bollywood’s biggest stars, so you might recognize his face even if you have never seen any of his movies. Sacred Games is based on a 2006 novel of the same name by Vikram Chandra. “Sometimes, I think I am a God,” states Siddiqui character, Ganesh Gaitonde, at the opening of the trailer. The series also stars Saif Ali Khan as a police officer obsessed with catching Gaitonde, and Radhika Apte. There will be 8 episodes. 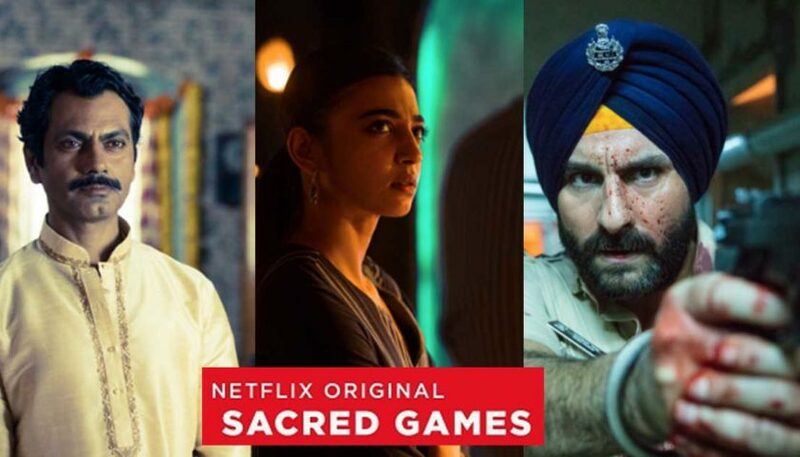 Sacred Games drops on Netflix July 6. Based off of Vikram Chandra‘s 2006 novel of the same name, Sacred Games looks like a taut, tense thriller that dives into the seedy underbelly of Mumbai. It’s very different than the glamorous view most people have of Indian cinema through Bollywood, unafraid to shy away from blood and gore. And it’s only the first of Netflix’s planned slate of India originals, which include Selection Day, Bard of Blood, Leila, Ghoul, and Crocodile. Sacred Games is produced in partnership with Phantom Films. Phantom Films co-founders Anurag Kashyap and Vikramaditya Motwane are set to direct each of the show’s eight hour-long episodes.